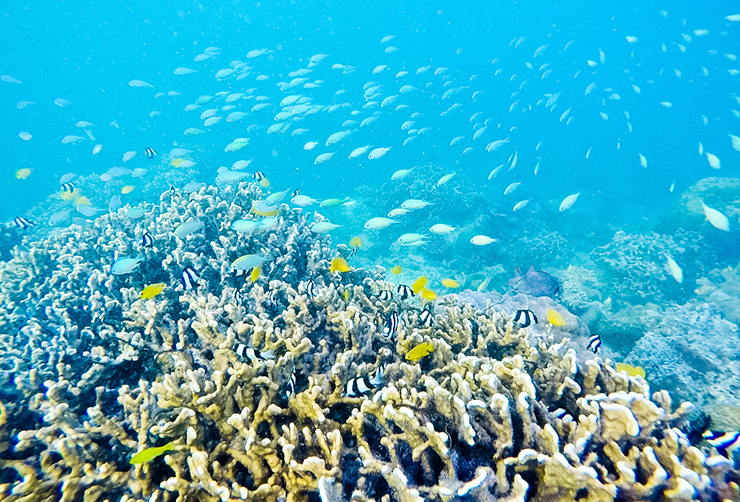 Can you enjoy the underwater world of Sipadan without a diving certification? 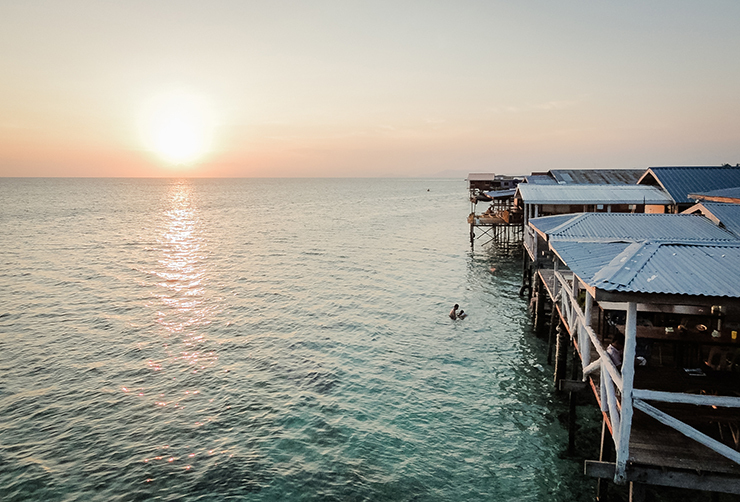 When you are planning a trip to East Malaysia or Borneo, you may wonder whether it is worth to include Sipadan to your itinerary (without having a diving certification). We asked ourselves the same question during the preparation of our adventure through East Malaysia. Often we have planned to take a diving course, but until today, we haven’t done it yet. The main reason is our travel budget… Taking some dives is definitely not cheap, and there are always beautiful and budget-friendly alternatives to add to our itinerary. Moreover, in your planning you should consider that you can’t fly up to 24 hours after diving. Hence: no, we have not been diving around Sipadan but yes, it’s worth taking this or nearby islands in your travel itinerary! With this post, we hope to trigger you! Last summer we went to the small island, Pulau Mabul, about 45 minutes from Semporna by boat and close to it’s more famous brother Pulau Sipadan. For 3 days, this little island was our base to explore the Celebes sea by snorkeling. 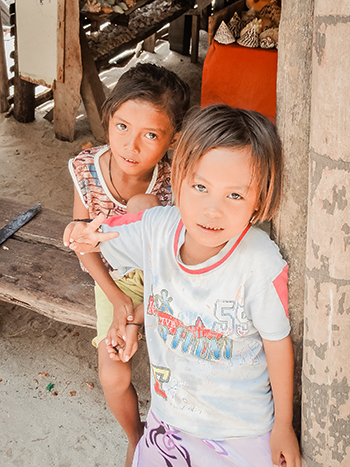 We stayed there between the locals in a primitive wooden house on stilts along the shoreline, overlooking the crystal clear waters. 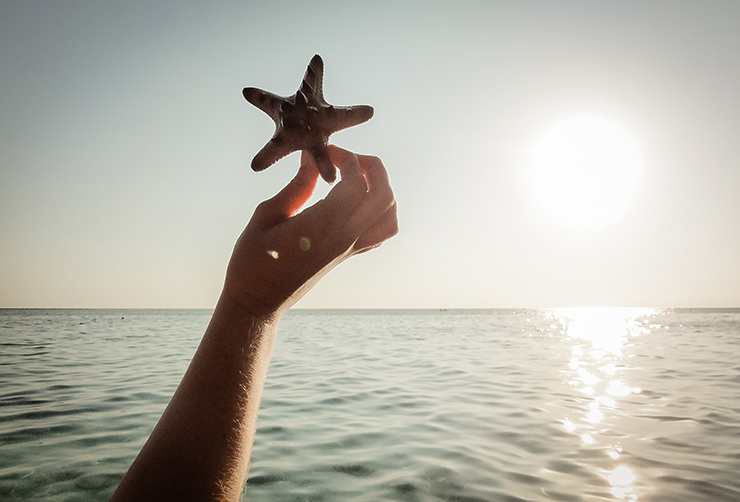 From the creaking terrace we saw starfish crawling over the seabed. The stay itself was already an experience. 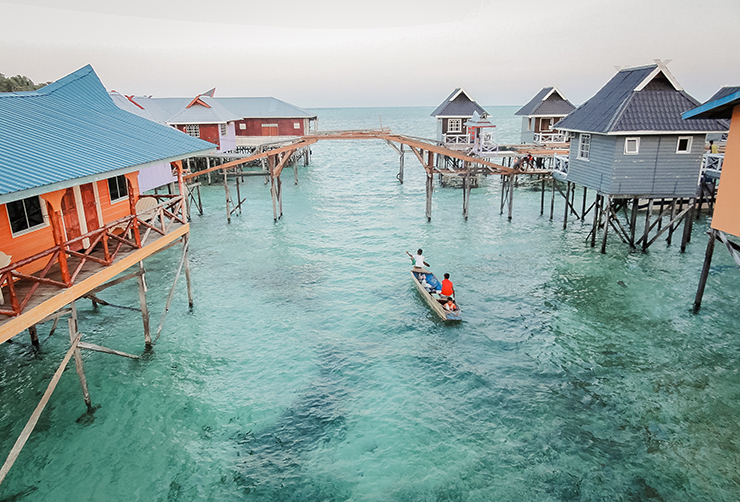 However, most of our time we spent in the water, especially around Kapalai and Mabul. 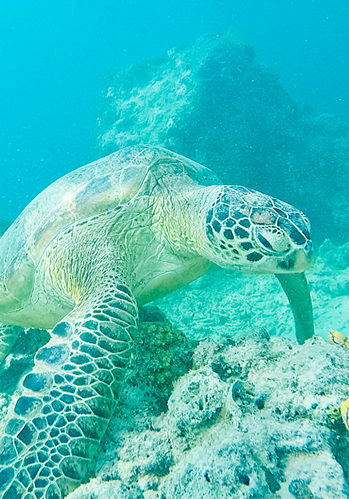 Some might think: “Three days of non-stop snorkeling, don’t you get bored?” A short and clear answer: No! It was undoubtedly our best snorkeling experience ever. We felt from one surprise into the other. 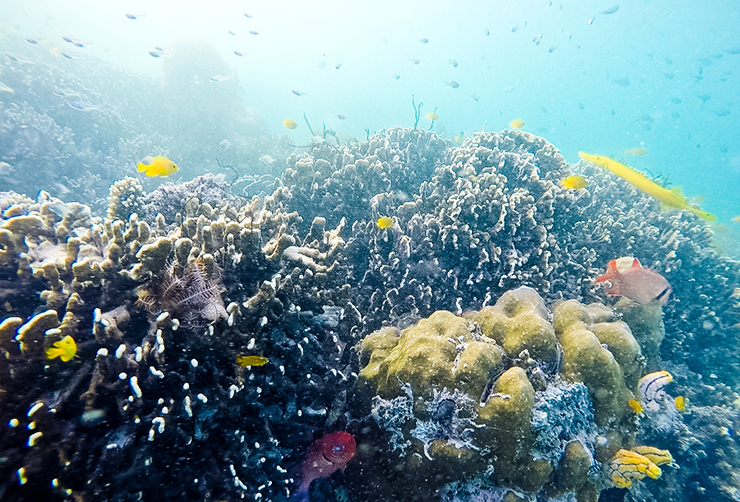 The underwater world you see, even with mask and snorkel from the surface, is indescribable. 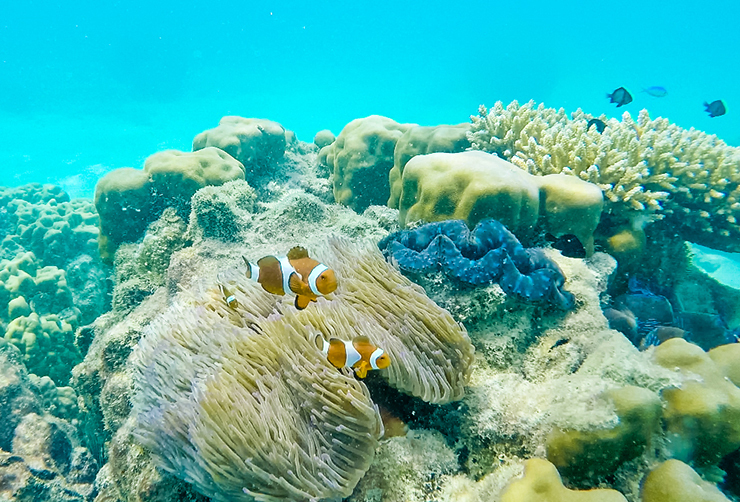 Swimming along the many colorful clown fish, guided by the floating sea turtles. Be amazed by the countless strange fish – that you did not even know they exist in such forms – and suddenly be startled by an aggressive triggerfish. 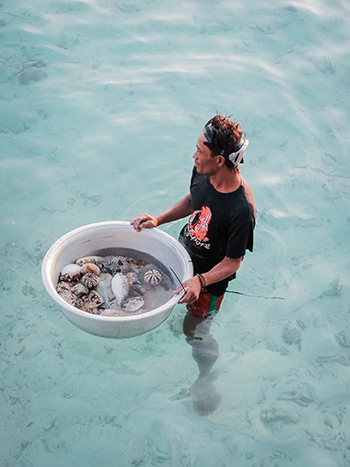 All of that makes a journey in the Celebes waters a very special experience! 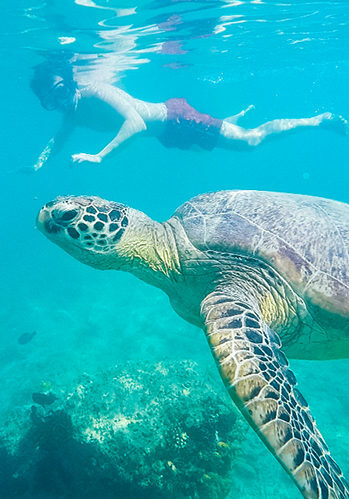 To be clear: all photos are taken while snorkeling. To convince you even more, have a look at our after movie of this wonderful trip.